The marketing plan is a basic tool used by all companies to communicate the message, the values and the essence of their product through the various channels, in order to attract new buyers and increase sales. 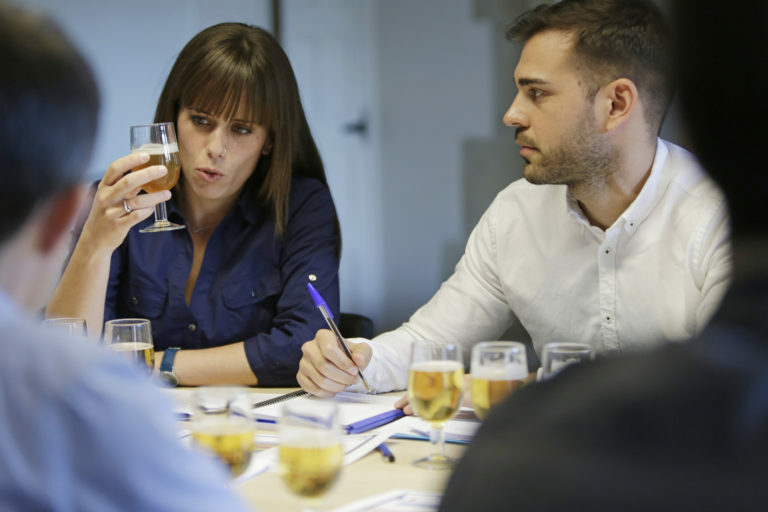 In the case of the food and beverage industry, the marketing plan must include a detailed strategy that focuses on the end-use customers, the consumers. It is essential to know what flavours they like, what sensations they are looking for, what kind of products they usually buy and what values and prerequisites they expect of the company selling the product. This type of data, along with demographic figures, plays a key role in defining the launch, commercial and communication strategy for any type of product, as in the case of soft drinks and packaged foods. Therefore, one of the items that cannot be left out of a marketing plan is a thorough analysis of both the product itself and the target group. As regards the product, identifying the sensory qualities preferred by consumers in order to develop the ideal product is the industry’s goal for 2018. This is achieved by combining two methodologies: sensory analysis and the consumer test. In this way, it is possible to interpret the consumers’ perceptions, which provide data that is very useful for optimising the marketing plan. According to the food group Kerry, one of the most important in the United Kingdom and Ireland, “understanding and meeting consumer demand is essential to ensuring the success of the product”. For example, finding out what fitter consumers think about the impact of sugar on health or whether snack food addicts are concerned about saturated fats are matters to be resolved before launching and promoting any novelty food. Furthermore, we must take into account the demands of the market. According to a study carried out by Kerry, consumers currently expect new and better experiences from the products they consume. Thus, two out of three consumers in the UK say that they often experiment with new and unusual flavours. The same study indicates that 23% of the respondents consider that the colour of a food or drink is an important indicator of its nutritional value. In this respect, consumer tests are able to identify the finest details of the tastes and priorities of the target public with the idea of developing and marketing products that meet their demands. Organoleptic preferences, such as taste and aroma, are factors that can determine purchase intent. Texture, for example, has become a value on the rise among consumers, who increasingly focus on this aspect. In fact, sales of products that take into account the sensoriality of the texture have increased. A good marketing plan should also take into account changes in consumer habits. What kinds of products are eaten for breakfast nowadays? What foods and beverages can replace those long and leisurely traditional lunches? According to Kerry, many consumers neglect three of their daily meals because of their busy lifestyles and so they have integrated snack food into their diet. Almost 70% consume this type of products between meals, while more than 40% do so as a meal replacement option. Labelling is also an important issue. More and more consumers are concerned about the ingredients of the products they buy. In the case of something as basic as food, most people reject foods with a long list of colorants and preservatives on the labels and go for those indicated as being natural, fresh and artisanal. Clean label is not a food industry fad but rather a commitment made by companies to offer healthier products. Numerous companies have already decided to improve this aspect and have not hesitated to let customers know through various communication and marketing campaigns. In addition to improving the composition of products, companies should bear in mind that consumers are seduced by products whose marketing advertises them as “natural”, “fresh” or “artisanal”. Not only must the product be healthy but also the market demands that the industry takes full responsibility for its production processes and shows a sense of social responsibility. In 2018 many companies in the food industry will place internationalization in the spotlight. However, getting a product to penetrate a new market successfully is something that can only be achieved with knowledge and data. Again, sensory analysis and the consumer test are perfect allies when it comes to launching products in new markets. Especially when opening up unknown markets, it is a good idea to outsource this type of research to consultants such as the Sensory Value team. In short, sensoriality will be a key trend in the food industry’s marketing plans for 2018. If products are designed, produced and marketed according to the tastes and needs of local consumers, the welcome they receive on the supermarket shelves will surely be spectacular. No Replies to "What you mustn’t leave out of your marketing plan for 2018?"